New paper predicts SST temperature based on Pacific Centennial Oscillation | Watts Up With That? FIG. 18. Decadally smoothed time series of the zonal SST gradient from observations and model simulations of the twentieth and twenty-first centuries. Thick black and gray lines represent observations, blue lines represent the GFDL CM2.1, green lines represent the NCAR CCSM4, and red lines represent the ECHO-G model. All model lines prior to the year 2000 represent the standard 20C3M experiment (twentieth century, all forcing, ensemble mean of three runs per model), except for the dashed green line, which represents a twentieth-century experiment forced with atmospheric CO2 concentration increasing by 1% yr21. Beyond 2000, solid (dashed) lines represent single SRES A1B (A2) experiments. Today, blogger “slimething” left me a link to the Karnauskas et al (2012) paper A Pacific Centennial Oscillation Predicted by Coupled GCMs. Thanks, “slimething”. I’m not going to offer any thoughts, because I don’t want to influence your comments, but I did highlight the two concluding sentences in the following abstract for you, and I’ve also reproduced the two implications listed in the Summary and concluding remarks. Internal climate variability at the centennial time scale is investigated using long control integrations from three state-of-the-art global coupled general circulation models. In the absence of external forcing, all three models produce centennial variability in the mean zonal sea surface temperature (SST) and sea level pressure (SLP) gradients in the equatorial Pacific with counterparts in the extratropics. The centennial pattern in the tropical Pacific is dissimilar to that of the interannual El Niño–Southern Oscillation (ENSO), in that the most prominent expression in temperature is found beneath the surface of the western Pacific warm pool. Some global repercussions nevertheless are analogous, such as a hemispherically symmetric atmospheric wave pattern of alternating highs and lows. Centennial variability in western equatorial Pacific SST is a result of the strong asymmetry of interannual ocean heat content anomalies, while the eastern equatorial Pacific exhibits a lagged, Bjerknes-like response to temperature and convection in the west. The extratropical counterpart is shown to be a flux-driven response to the hemispherically symmetric circulation anomalies emanating from the tropical Pacific. Significant centennial-length trends in the zonal SST and SLP gradients rivaling those estimated from observations and model simulations forced with increasing CO2 appear to be inherent features of the internal climate dynamics simulated by all three models. Unforced variability and trends on the centennial time scale therefore need to be addressed in estimated uncertainties, beyond more traditional signal-to-noise estimates that do not account for natural variability on the centennial time scale. 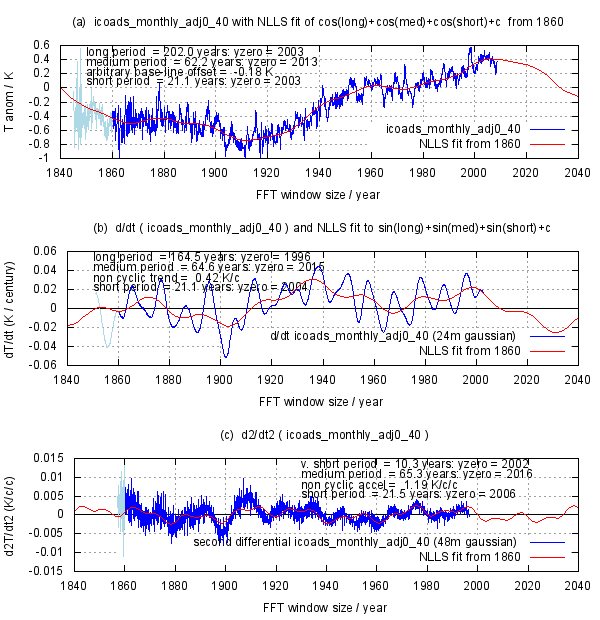 2) If the centennial variability in the models is spurious, then it nevertheless is a robust component of the three analyzed models, is likely to exist in other models, and therefore will continue to influence coupled GCM projections of future climate, as well as initialized decadal hindcasts and forecasts conducted with GCMs. In all cases, it must be known at what stage the natural centennial variability exists at the beginning of a forecast or projection to isolate the forced change from the modeled internal variability. Thanks, Anthony. Back-to-back guest posts. With a lot more talk/discussion about the idea of solar cycles being responsible for weather patters/ changes to the jet stream/etc. ,could the idea of a 100 year cycles perhaps be tied to a half-DeVries cycle of the sun (at about 105 years . .) ? Maybe something for futher research . . .
100 years = 1.5 x 66 year cycles or 3 x 33 years cycles or 9 x 11 year cycles. It sort of hints that GCM are going from toddler to child-stage. Walking straight, lots to learn, asking questions. Good development, I think. It is a worthy cause but has to be taken pinch of salt and a load of patience. Think people need to stop thinking of these simulations as simulation of -this- planet and study them for their own right and without bias. Eventually, they might just provide something interesting. Not necessarily for climate science but probably. While the 105 year period is interesting (half of 210) it may simply be more helpful to assume it is 210 and the shorter periods are components. It is good to see the more rigorous models coming ever closer to measured reality, theories be dammed. It does not surprise me in the the least that the sea surface (etc) temperatures change cyclically. What are your thoughts on pulsar timing cycles? Atomic clocks are based on these cycles, they appear very precise but over the long term, lets say half a million years do you think they slow down and speed up? 1) If nature exhibits such strong natural variability of tropical Pacific SSTs on centennial time scales, then assumptions that the observed trend over the past century to a century and a half is a response to radiative forcing are tenuous. I don’t have even to read to your highlighted part. If you thought they have reliable empircal data to discover a 100 year period then go ahead, hint: it requires reliable data over many periods. I am a skeptic, but this kind of stuff is very worthy of my skeptism. In analyzing CO2 data, I have found a 200 year cycle to be highly significant . It gives a better fit than anthropogenic emissions. This 200 year cycle shows up as well in other types of data. Anthony, I do not find the red line at all re-assuring. Could spell real problems for higher latutude NH countries, especially those (un-)relying on wind and solar. I simply presented the paper. I offered no comments about it. 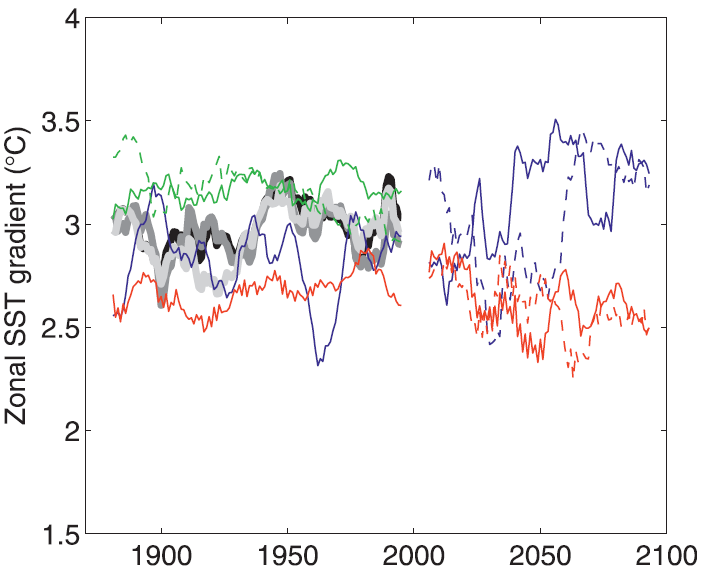 That the models show a 100 year cycle means nothing, except to the extent this derives from predictive mechanisms. Since we have no way of telling to what extent (if any) these predictions (hindcasts) derive from physical mechanisms, we have no way of assessing the value of this paper. Although, if they had a predictive mechanism they would have published on that. So my conclusion is the whole paper means nothing. Except perhaps that 3 models with similar outputs shows confirmation bias is rampant in the climate modelling community, but we knew that already. KRISTOPHER B. KARNAUSKAS. Using the link Dr. Tisdale provided above. Oh no! Not more holes bored in living/dead creature proxies! The next mention of real data is… not really there outside of distant comparisons of modeled SST to SST, and that is about as clear as it is specified. Looks to me like more play-doh climate science and smacks of building excuses for their predictions of warming that haven’t occurred. This stuff is total BS. In other words, they don’t have a clue if the models are reliable and won’t have a clue without further study. And since the models are all over the place, someone can always say “The models predicted that” no matter whether temperatures go up, down or sideways…. Therefore, let’s not jump off any cliffs yet because the models might be wrong and there might not be a problem after all. Suppose someone says: “Evolution cannot be true. It has no way of explaining gayness (a reproductive dead-end), or the coconut crab (bizarre behaviour)….” One can refute that argument by sketching a hypothetical but evolutionarily coherent narrative that shows how gayness or coconut crabs could arise naturally and persist. It isn’t necessary that the hypothetical story is the actual one, as long as it is sound. Likewise, if someone says: “We know CO2 is the cause of the rise in temperatures in the 20th century, because natural variability cannot account for it” – a reasonable response is to point out that there are natural cycles that could explain it. This is true even if the one proposed turns out on further inspection to be an artifact of analysis. The point in both cases is that there is much we don’t know; it is premature to pronounce that something is “not possible” or that something else is “the only possibility” as long as other coherent narratives exist. Actually what is being investigated thereby is the responses and outputs of models, rather than anything about the actual climate. At some point internal variability is “forced”, don’t you think? If you believe in cause and effect nothing is random. Statistics are just tools we blind monks use to fathom the causes. Models have a lot of good fluid dynamics built into them and they could go from “All models are wrong” to “Wow” very quickly if the handlers lose their misconceptions about CO2. Equatorial Pacific oscillations in some respects has same fundamentals as the N. Atlantic Oscillation, despite different frequency and volatility. CO2 is only a fudge factor and poor substitute for understanding of true natural causes. A superficial inspection gives the impression that the models without any “forcings” predict a lot of temperature variations. 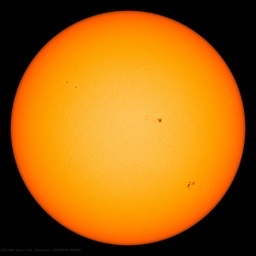 say that without any “external forcing” (sunspots, carbon dioxide?) we have temperature variations larger than any observed global warming. Not sure what your point is, but I could give you an explanation of ‘gayness’ that is completely consistent with evolutionary theory. Non-alpha males satisfy their sexual desires through ‘gayness’ in order to not to compete with alpha male close relatives who have a much better chance of reproductive success and propagating the genes they share. This is OT for Anthony’s blog and I’m not going to get into a debate on this topic (gayness). The intro. graph certainly looks cyclic, as natural processes reveal themselves to be. But if the models contain assumptions that are wrong the whole modeled answer is wrong. 1) Have the models got the same basic eigenmodes as the measured system responses – if not in amplitude then at least in frequency content? Answering these questions robustly will lead to a better understanding of all the mechanisms involved. It is particularly hard to establish the answers to 1) in the presence of the cyclic forcing in 2) – one can clearly get VERY confused between the system response to a cyclic forcing and a natural mode of response in such a vastly non-linear system. To my eye (without my normal FFT vision enhancement) none of 3 models presented seem to have captured correctly the low frequency system response present in the measured observations – where perhaps most of the SST energy transfer is stored / released? His point was that the mere existence of other coherent narratives that could potentially describe how and why current circumstances came to exist is in and of itself an argument against the The Science is Settled Because It Can’t Be Anything Else argument. In order for ‘them’ to make that argument, they need to eliminate those other narratives. Analogously there may never be a final reason why gayness or any other specific human attribute evolved because we simply can’t know. But, knowing that many different coherent routes can lead to that end result does mean people making definitive statements favoring one such narrative lack credibility. After reviewing the paper briefly, one interesting thing I noted is that, even though two of the authors are from Columbia University, they did NOT use NASA GISS Model E in their study. Model E apparently isn’t nearly as good as the codes that were cited (GFDL CM2.1, CCSM4, ECHO-G). Certainly those codes are much better documented than Model E. Of course, NASA GISS can’t be bothered with such trivialities as documentation of their GCM software – they are too busy blogging and making extreme statements about the oil and coal industries. My study of the change in global maximum temps. (who nobody but me is plotting) suggests a cycle of ca. 88 years, probably the Gleisberg cycle. mind you maxima is like energy in which lags a bit on energy out. Quite a few commenters are missing the either/or proposition contained in conclusion points 1 and 2 in the post. The model output varies as much as 100% of the actual data, eyeballing the graph. Strike one. Future model projections are even greater. Strike two. The authors used the word robust more than twice, trying to impart significance. Strike three. Get this B.S. outta here. Looks like the climate computer models could be worse than we thought! The period of atomic clocks is determined by an atomic energy level transition in a beam of cesium or rubidium atoms. The period of pulsars is the rotation frequency of the neutron star at the center of the pulsar. There is no relation here. Pulsars do slow down in discrete steps of very small magnitude. It is generally believed that this is due to “starquakes,” microscopic shifts in the neutronium that makes up the neutron star. It is amazing that we can detect a microscopic shift in an object that is 10’s, hundreds, or thousands of light years away. At last we are seeing some sanity getting back into published climate science. The predictions hightlighted in the graph shown above echoes the cyclic analysis shown over at Judith Curry’s site and is close to Scaffetta’s work. That plot comes from an article which shows Hadley adjustments effectively remove the long term variations from the SST record. Thanks Bob, this is an excellent and important study, a serious attempt to encompass multidecadal cycles in a GCM. The ECHO-G model is quite provocative (fig 18). The section b under results, “a proposed mechanism” contains a very useful discussion which actually includes ideas that Bob has been developing such as the symmetry / asymmetry of heat discharge / recharge of ENSO events and the role this plays in multidecadal climate warming (or cooling) i.e. its ENSO wot dunnit. Plus a recognition of Bjerknes feedback. Plus recognition of nonlinear oscillation. Light at the end of the tunnel of the current climate science dark age? One final observation. We are wired to find patterns where none exist, and while intuitively I feel our long term stable climate must have cycles to maintain that stability, I am cautious about labelling things cycles. One thing that raises a red flag for me is where a cycle appears to be symmetrical. That is, the down phase is the mirror of the up phase. There is no reason for this to be the case in a complex system – just look a graph of glacial and interglacial phases of our current ice age – and I suspect this expectation of symmetry is part of what’s wired into us. So, my conclusion is the centennial cycle in the models is likely just unconscious bias by the modellers, expecting symmetrical cycles in the climate. At least until someone comes with data that shows this cycle. One thing that raises a red flag for me is where a cycle appears to be symmetrical. So, my conclusion is the centennial cycle in the models is likely just unconscious bias by the modelers, expecting symmetrical cycles in the climate. Namely, earth has so many, many places where it stores energy, like in water, in chemicals, in vegetation etc. so that what is bound to come out (energy-out) looks strange and unrecognizable in terms of patterns. However, in my case I Iooked at maximum temperatures, which is like an evaluation of energy-in. Looking at the deceleration of warming on the maxima, I was stunned to find that it seemed to follow on a bi-nominal curve and the correlation I got for that was 0.998. Eventually I realized that it must be like an a-c-wave and of course that is symmetrical. I have already figured out what mechanism causes this wave, more or less. Henry, I and a number of others agree with you about the significance of maximum temperatures. Max temps are a better metric of the heat gain of the climate system than averages, and that is what the debate is about. Thanks Philip, I am glad you guys have picked up on it. Just now, I felt a bit like having peed in my (black) pants: you get that warm feeling of having “done” something, nut nobody notices it. what are we going to do with the results? It looks we are heading for quite a bit of colder weather in the years ahead, but it is not like we have never been there before….